You won’t get too many arguments on this: Moving is stressful. In fact, according to HealthStatus.com’s “Top 5 Stressful Situations,” moving comes in at number three, right after divorce. But it’s a strain faced by many seniors, who know they can’t—or shouldn’t—keep living in the old homestead they’ve lived in for decades. But where should they live? And who’s going to help with the moving? That was a challenge faced by Reed and Kathleen Hutner, who had lived in their Baltimore home for 30 years. It’s often a specific event that gets homeowners thinking about moving, and, for the Hutners, it was a major snowstorm and all the pioneer challenges that go with that. 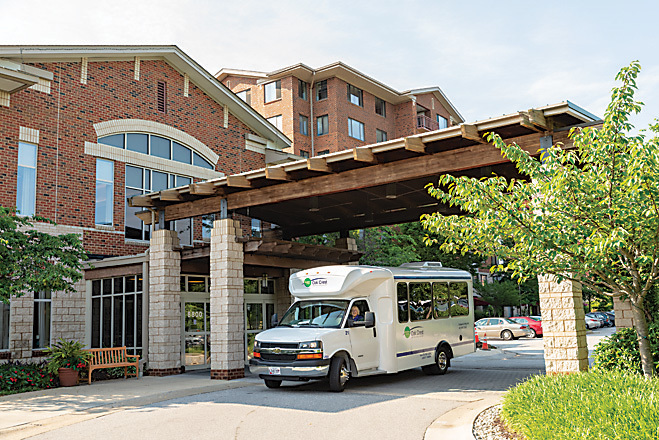 CCRCs in the region are making constant changes to fit their residents’ needs, from services and amenities to pricing options. Another new feature is a memory-care facility called Magnolia Way that has 38 private apartments with common areas and an enclosed garden. Broadmead, another major CCRC in Cockeysville, hasn’t been resting on its laurels, either. 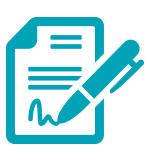 “In January 2017, we added a C contract to our existing A contract offering. [See page 142,]” says Jennifer Goforth, VP of communications for Broadmead. “Moving into a CCRC is a huge life decision. We believe it’s important to offer our prospective residents choices that work the best for their particular circumstances.” And by 2020, Broadmead will have added specialized dementia households to both their assisted living and skilled nursing licensed levels of care, she says. “Even though we were on the young side, not yet 68, we didn’t want all the chores anymore,” says Reed. They first considered a condo, but realized that they would probably have to move again. “Moving twice was something we really didn’t want to do,” he recalls. So they started to entertain moving into a continuing care retirement community (CCRC). Part independent living, part assisted living, and part skilled-nursing facility, a CCRC offers a tiered approach to the aging process, accommodating residents’ changing needs. Healthy new arrivals typically live independently in single-family homes, apartments, or condominiums on the CCRC campus. When assistance with everyday activities becomes necessary, they can move into assisted living or nursing-care facilities. And that means seniors live in one location for the duration of their lives, with much of their future care already figured out, which can provide for a great level of comfort. As with any legal contract, it’s always a good idea for an attorney familiar with CCRC contracts to review it before anything is signed. Ask about hidden costs. Often, there are a la carte items, such as laundry, meals, and cleaning services. Know whether the facility accepts Medicaid, should that need arise. Make sure the CCRC is located where you want to be and see if a high-rise, low-rise, or cottage independent living arrangement is right for you. Make an on-site visit. Some facilities even have accommodations so you can stay overnight to try it out. Talk to existing residents about the pros and cons of CCRC living. Ask about amenities (pool, fitness center, trips, and transportation). See if residents and staff look happy. Look at the assisted-living and nursing units. The purpose of a CCRC is for you to say where you spend the rest of your life. Can you see yourself there? Are the staff relating to the residents? What are the Medicare ratings? When do fees increase? Annually? By how much? By level of care? Do they have a memory unit should the need arise? This is something many CCRCs are adding. Ask if they offer any services to help you move. Of course, make sure you can afford both the entrance fee and the monthly expenses, and look for tax implications and how it might affect any inheritance you may want to leave. Determine how the long-term care insurance that you may have might be used. For some seniors, it’s younger family members who help in the search for new living options. That was the case with Lucille Jacobson, 83 and recently widowed, who has three children living in the area. Five years ago, the Jacobsons’ children did a thorough search of CCRCs for their parents, who were moving from a single-family, six-bedroom home out of town. But maintaining her super-active lifestyle was also a priority, and BayWoods, located on 14 acres overlooking the Chesapeake Bay, promised to help her do that. A former teacher at Penn State, Lucille teaches mindful-walking meditation, directs two brass bands, teaches memoir writing and knitting, and plays the washboard. She also does yoga and other exercise programs, as well as swimming—indoors in the cold weather and, in the summer, off the dock in the bay. And she can easily get off campus and see the sights: No longer driving, she goes on trips with fellow BayWoods residents to Baltimore and Washington. CCRCs come in all sizes and vary in their services, conveniences, social activities—and in their costs. But all include three meals a day for assisted and more acute care. So, like Goldilocks, you’ll have to find the one that’s just right for your needs and lifestyle. And that’s just what the Hutners did. When the couple started looking, there were a few must-haves. “My wife is from Baltimore and has relatives and friends here, so she didn’t want to move away from the area. We also wanted a large community with a variety of activities and dining options,” says Reed. After checking out several, they chose Oak Crest, an Erickson Living community in Parkville. Set on 87 landscaped acres, it has more than 100 resident-run clubs, classes, and activities. And they got very good vibes from the place when they visited and spoke to several residents. They also appreciated that there was enough parking for their two cars, and they liked that they could get everywhere on campus without going outside. There was, however, still that moving thing on the horizon. But to make that easier, they hired a professional. Once settled into their new digs, the Hutners immediately got involved in activities. Today, five years later, they are on the welcoming committee, the committee to bring performers to the facility’s on-site pub, and other groups. Kathleen uses a doctor at Oak Crest’s on-site medical center. And, yes, they’ve made lots of friends. If the word “contract” just got your attention, it should: It’s important to realize these contracts are very complex and complicated, according to the Maryland Department of Aging. So you need to treat this decision like you would any kind of major investment: Do your research and seek the assistance of a lawyer to go over all the details. Jason A. Frank, an elder-law attorney and president of Frank, Frank & Scherr who also serves as the Assistant Baltimore County Attorney for the Baltimore County Department of Aging, knows a few things about senior living contracts. “There are three types of CCRC contracts—A, B, and C—known as continuing-care agreements,” says Frank. “With a type A contract, known as a life-care community contract, you pay an entrance fee and a monthly fee. Basically, the monthly fee doesn’t significantly change as you need a higher level of care, although they may change on a community-wide basis,” he says. “Type A contracts act somewhat like a long-term care insurance policy.” Also, there can be variations in the entrance fee, which can range from $75,000 to more than $1 million. Some CCRCs, however, will return a percentage of the entrance fee to your estate after your death (or if you leave). It can be as much as 80 or 90 percent, depending on how much you paid, says Frank. He advises his clients to pay the lower entrance fee, since it isn’t accruing interest, so you can invest the difference someplace else. Also, if the CCRC ever experiences bankruptcy, there can be a risk that you will not receive the entrance fee refunds promised. Lindsay Moss, a partner with Elville & Associates, is a VA-accredited attorney, as well as a certified dementia practitioner (NCCDP) who is certified in Alzheimer’s and dementia care (HFAM/MAADS), and helps clients with issues associated with arranging assisted living, nursing home care, and CCRC placement. According to Moss, fee-for-service contracts (Type C) are generally the standard. An individual looking to enter a CCRC usually selects the facility based on entry fee and their ability to cover monthly expenses. Once in independent living, it’s just like paying rent on an apartment. Additional services (meals, medical, etc.) are provided for a cost. The monthly rates generally increase slightly on a yearly basis, but the real red flag is the likelihood of medical-care cost increases. “When going into assisted living at the CCRC, the monthly cost of care often increases dramatically, from an average of about $2,000 a month to upward of $7,000 a month, due to the significant increase in medical care,” she says. “In the skilled-nursing section, the cost increases again, to upward of $12,000 a month. Again, this is due to the significant increase in medical costs, and the individual’s need to reside in a full-care medical facility. Often, money will start running out at this point, including both external and internal funds, and the individual will have to apply for medical assistance [long-term care Medicaid] to cover the monthly costs,” says Moss. With type B, there is an entrance fee and then prices increase with more care, but some of the CCRCs keep it at the same rate for a certain limited time period. And that can vary greatly. Also, some include a specified amount of nursing care. If the individual exceeds the number of days of nursing care covered, but needs ongoing services, he or she will be charged daily or monthly for the nursing care. Currently only a few CCRCs offer this option. All those big-dollar numbers have you a bit unsettled? That’s why it’s important to plan ahead—and we mean way ahead.